Theatre Hotel is consisted of 10 en-suite rooms and it has maximum capacity of 20 guests. The rooms are with modern design and equipped with comfortable beds, TV, DVD, air condition and private bathrooms. Theatre Hotel provides unique experience in the city of consoles and Manaki Brothers as it is only 5 minutes away of the centre of Bitola where you can find various shops, cafes, restaurants and nightclubs with high service and cosmopolitan style. 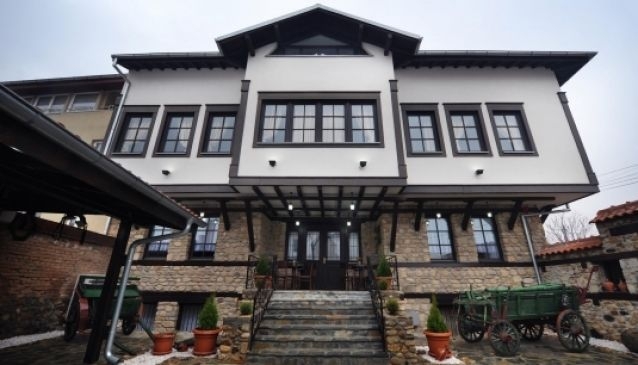 Its unique design and traditional Macedonian architecture that makes it original is incomparable to the other hotels in this region. Theatre Hotel is also suitable for business meeting, special events and exhibitions as it offers a multi-functional hall of 100sqm.